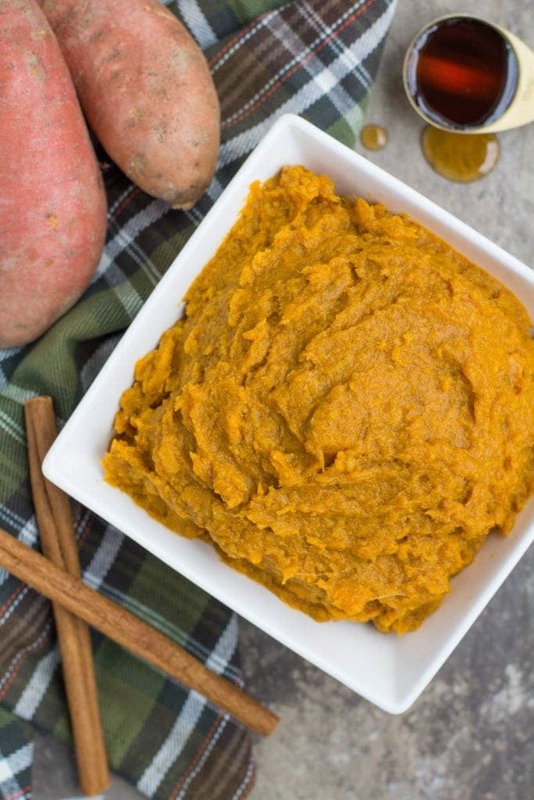 Made with only 6 simple ingredients, these Paleo Maple Whipped Sweet Potatoes are perfect for serving on holidays, as a simple side dish, or meal prepping. It’s no secret that I love potatoes, and you guys clearly do too. We make these Crispy Sheet Pan Roasted Potatoes at least once a week for a side dish with dinner, and these Spiralized Rosemary Potatoes have become one of the most popular recipes on my blog after just recently sharing them! I mean… what’s not to love about potatoes though. They’re starchy/carby, take on any flavor you want them too, are so easy to prepare… and are just YUMMY! 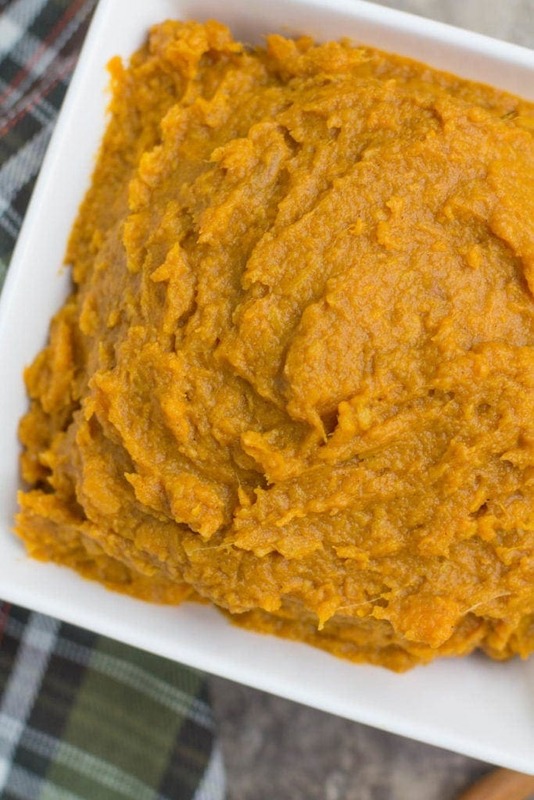 These Paleo Maple Whipped Sweet Potatoes, however, take potatoes to a whole new level! They’re super light and fluffy, have sweetness from the potatoes and just a tiny bit of maple syrup, and they’re SO easy to make… Like 15 minutes easy! 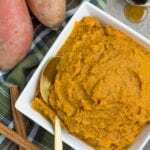 Recently, when I went out for dinner – I had a sweet potato puree that was SO decadent, I couldn’t get it out of my head. It was fluffy, perfectly sweet, buttery smooth, and just delicious. It almost felt like I was eating a dessert! It’s also something that I totally would’ve never guessed to order. These potatoes would be amazing at your Easter dinner this weekend. I bet your family wouldn’t even know they’re healthy. 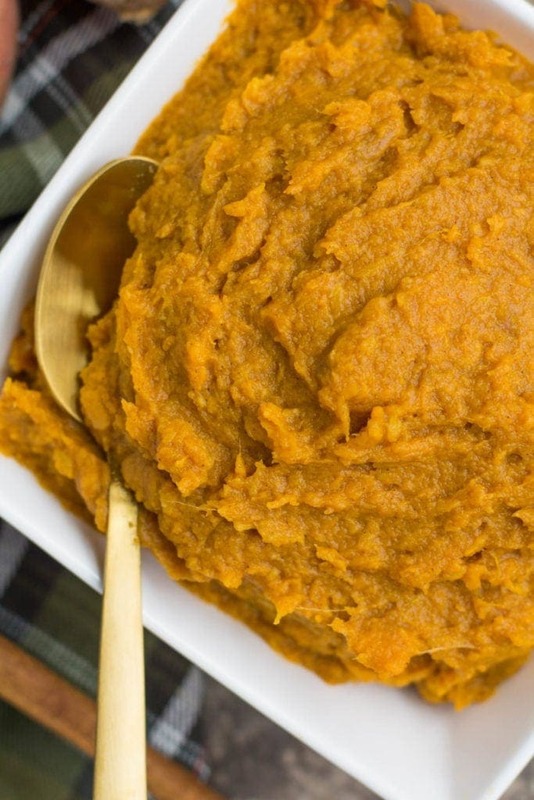 Otherwise – they’re a great weeknight side dish. 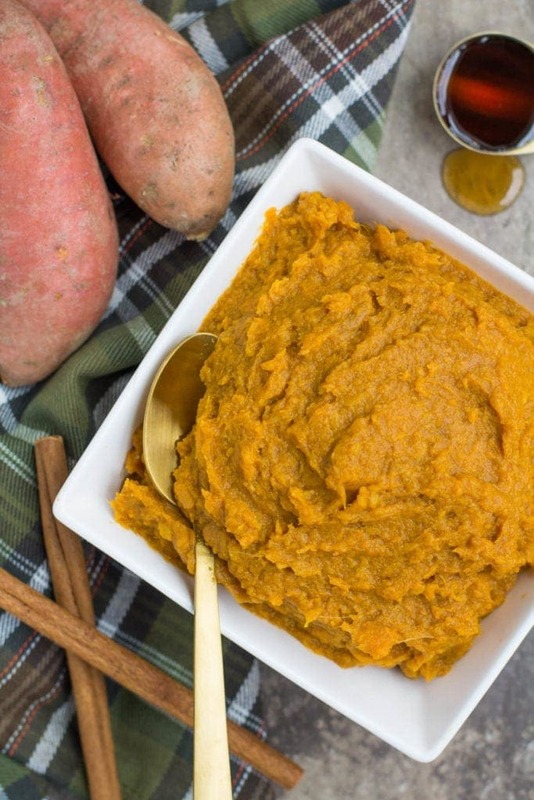 This Paleo Maple Whipped Sweet Potatoes Recipe is perfect for serving on holidays, as a simple side with dinner, or meal prepping for a busy week ahead. 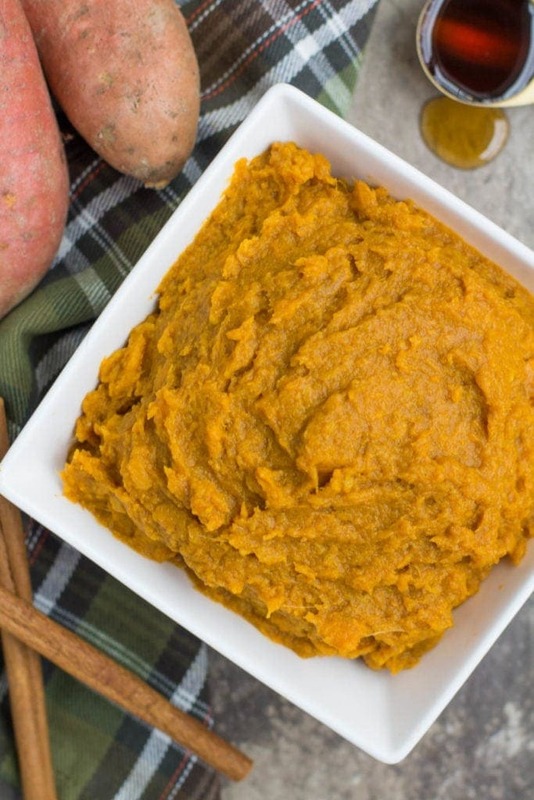 Made with only 6 simple ingredients and sweetened with just a touch of maple syrup - this is the perfect healthy side dish! Pierce sweet potatoes with a fork. Place potatoes in a glass baking dish with ¼ cup water. While potatoes are cooking, whisk together maple syrup, almond milk, cinnamon, ginger and nutmeg. When potatoes are done cooking, scoop filling out of sweet potato skins and place in a mixing bowl. Yum! I can’t wait to try these! I love that it’s dairy free. My kids LOVE these!! thank you for sharing the recipe. I added a little mayo to the final result to make them a little thicker because they are weird about texture, but they loved them!! Hi Courtney – I’m so glad your kids liked them! !